The climate of surroundings plays a major role in growth of every species of plants. You can see such unnatural behavior on every desert plants, used to grow in such a harsh environment. Here list of 10 most mysterious desert plants. Wollemi pine also known as living fossil one of rarest plant species in the world. This unnatural plant can only see in desert area of Australia. 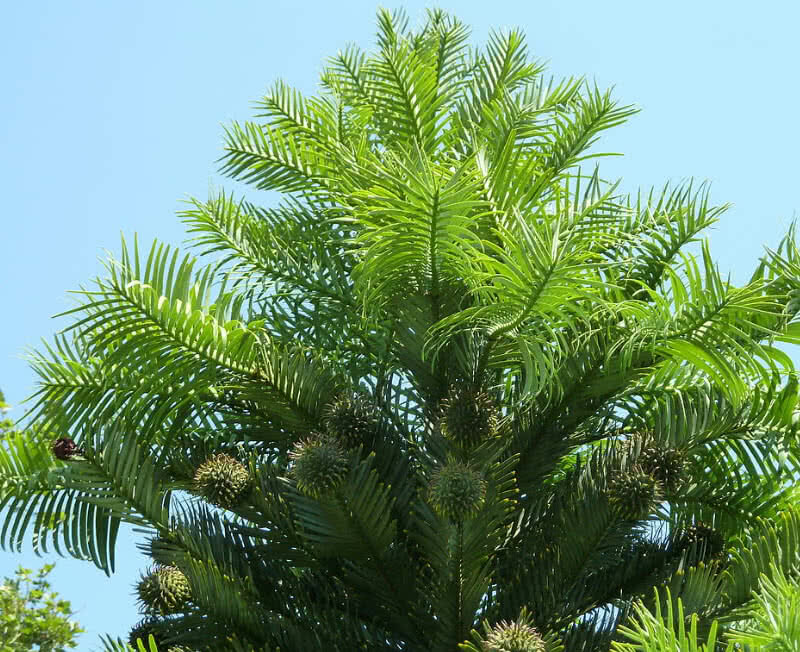 Wollemi Pine have a mysterious appearance and it’s stem have a bubbling shape in nature. It is also one of the oldest plant species in the world belong to 200 million year family. Wollemi pine have power to survive even with temperature of -12 degree celsius. Each plant of wollemi pine have both male and female cones within it. It also have exact same DNA even this plant grows in wild. Silver Torch Cactus are native to Bolivia and Argentina, also called as wooly torch because of it’s unnatural structure. It found as a greenish columns up to height of 3 meters. Interestingly they used to grow in temperature of -10 degree celsius. They also have 2 inch spines within it’s body. Silver torch cactus also used to bloom in late summer, have a cylindrical shape deep red flowers. 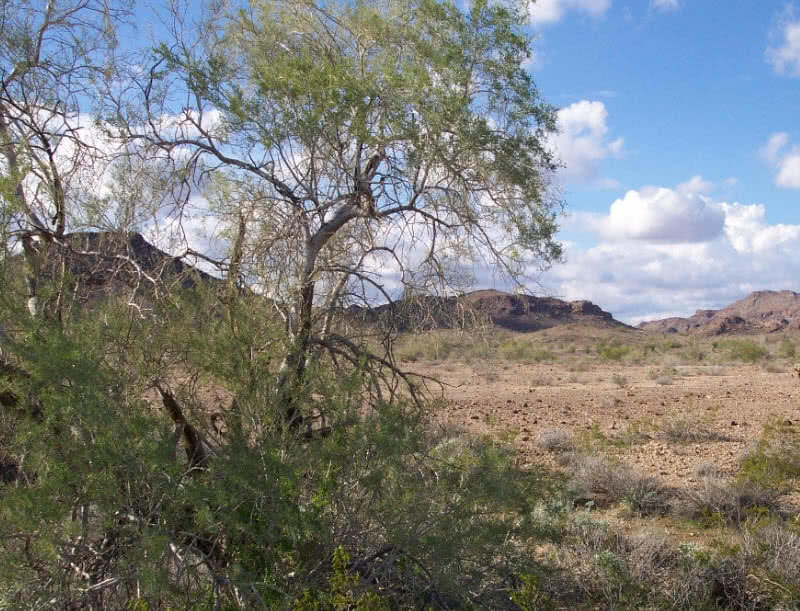 Desert ironwood plants can only found within sonoran desert, in North America. Desert ironwood managed to survive in dry harsh environment of sonoran desert. This plant have a tree like structure and shows resemblance to sweet pea. Desert ironwood have long life span of 1500 years, indicates it’s power to survive in much hard desert environment. It is a slow growing desert plant, grows up to height of 25 feet, have blue and grey color leafs. Desert ironwood also have power to change the environment around it. The shades of adult desert ironwood brings down temperature up to 15 degree fahrenheit. It drops the leaves in heavy dry season also blooms in starting of April. 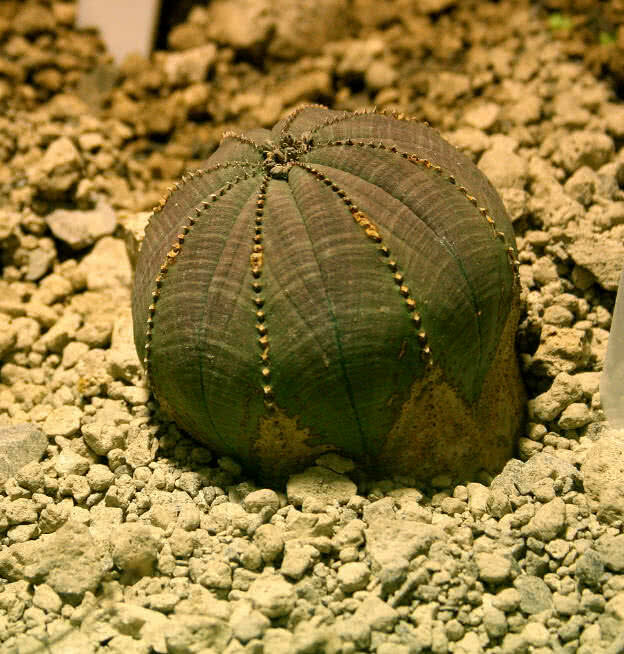 Baseball plant having scientific name as Euphorbia obesa is found within karoo desert of South Africa. It exactly looks like a baseball and extinct in nature because of over collection. It is greenish in nature and have diameter of 15 cm. It have capacity to store water for long time. The flowering buds can be found inside of this desert plant.The flowers of this baseball plant called as cyathia. Jumping cholla also known as teddy bear cholla used to grow in desert area of South Western parts of United States. The soft fuzzy branches itself given such a name for this desert plant. Jumping cholla actually covered with silver spines and makes pain once you touched this plant. Jumping cholla also used to throw this spines on outer connections, those spines have size up to 1 inch. This species of desert plant used take over a specific area and grows in dense, like a small forest. 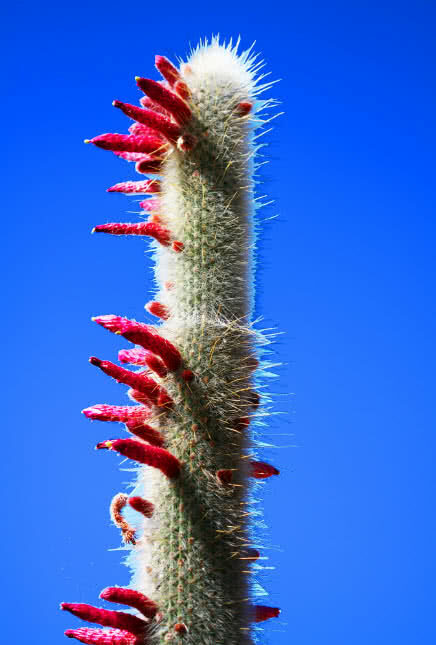 The thick spines of jumping cholla helps the plant to survive from heat of desert. It also bloom in month of May, can see a greenish lower at end of stem. Saguaro cactus is unnatural desert plant native to Sonoran desert of Arizona. It grows up to height of 25 feet and have several branches in upward direction in shape of columns. This mysterious desert plant have no leafs at all and used to bloom at spring time. The flower of saguaro cactus found as national flower of Arizona. 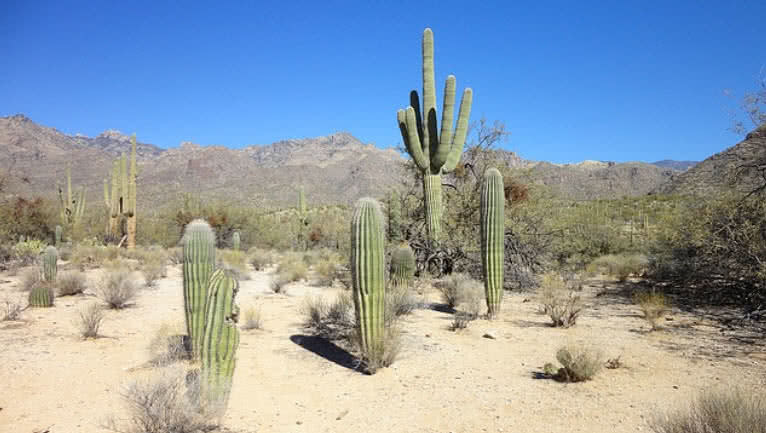 Saguaro cactus have thick spines within it’s body, help them to conserve water. Saguaro cactus have long life span of 200 to 250 years. Thy used to grow in rocky are of deserts. It grows up to a height of 20 meters and abnormal root system have same length. The spines of this plant help them to redirect the wind and coll down the body all time. Hydrona africana is a most bizarre looking desert plant native to Africa. No one can easily identify hydnora africana as a plant because of this unnatural physical appearance, similar to that of fungi. This plat is completely leafless in nature and have deep brown colored flesh stem. This plant becomes more visible only upon the blooming time. The flowers of hydnora africana have a spherical shape, brown outside and orange color inside. It also produce pungent odor to attract bees for pollination. Barrel cactus desert plant is native to Southwestern American deserts. It have an unnatural cylindrical body. Barrel cactus is the largest cacti in American deserts. It have 4 inch sized thick spines within it’s body. It grows up to height of 10 meters, have shallow roots system. Interestingly it can live up to 6 years even it is taken out of the ground because of stored water. It also have yellowish or orange flowers at top of the barrel. 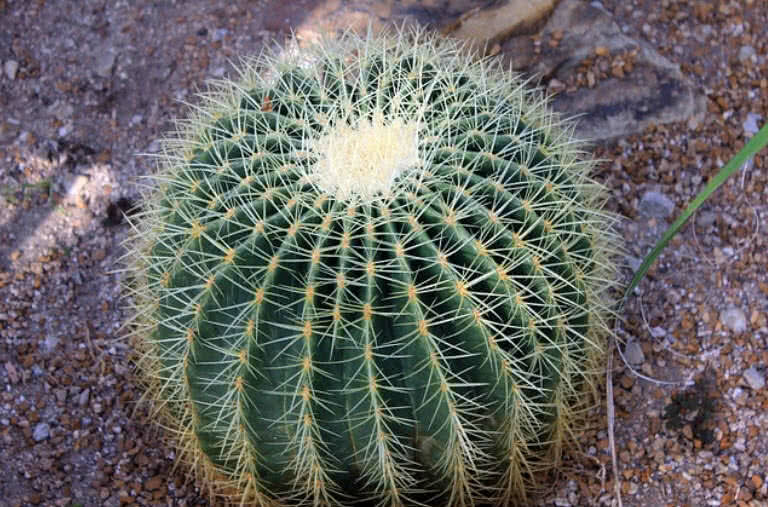 Barrel cactus also have long life span of 150 years in harsh environment. 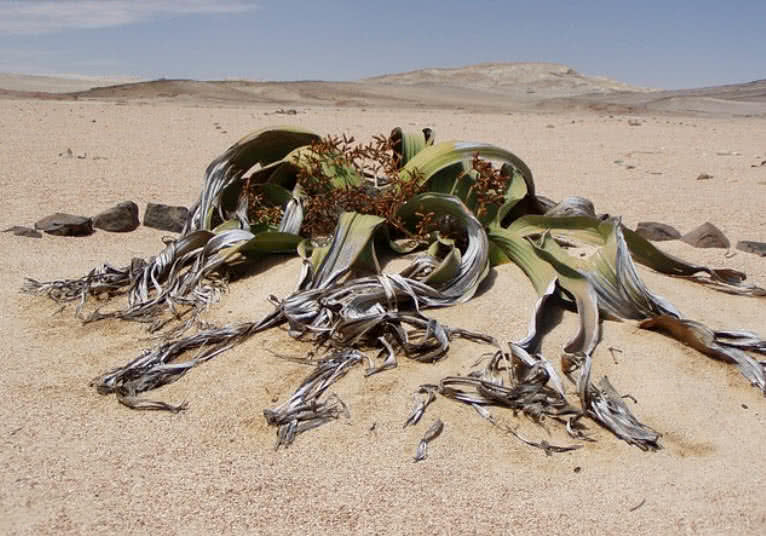 Welwitschia mirabilis is a weird desert plant native to Namibian desert. It is one of long living plant species in the world having lifespan of long 1500 years. Even though having lots of leafs on first look, it only have two leafs and those leafs used to grow continuously from a base stem. 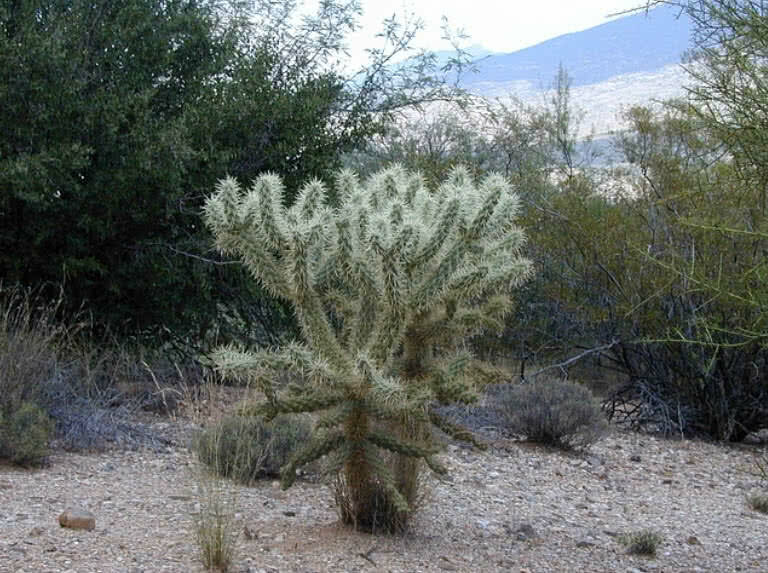 This desert plant can survive in most of harsh climates. Scientists estimated that Welwitschia mirabilis originally developed in Jurassic period. The unnatural root system of this plant have power to reach up to any underwater storage. The male and female cones of this desert plants produced within separate plants and also have slow growth rate.